Wendover Army Air Base was transferred to the Ogden Air Technical Service Command (Ogden Air Logistics Center) on 31 December 1945. A detachment of the Special Weapons Branch, Wright Field, Ohio, had arrived at Wendover in October 1944 with the mission of evaluating captured and experimental rocket systems. The missiles were of three types: the first included power-driven bombs such as the German V-1 "buzz bomb;" the second were glide bombs equipped with wings and gyro-stabilizers, which could be controlled by radio or other means. The third consisted of conventional bombs which could be controlled by the launching aircraft. Numerous tests were conducted, including the JB-2, a copy of the German V-1. Wendover played a key role in the postwar weapons development industry. Three areas were being developed. The first were power driven bombs, from the American version of the V-1 rocket (the JB-2) to "Weary Willies", old B-17 equipped to fly remotely. The second group were bombs equipped with wings and stabilizers. These marked the first development of glide bombs and could be controlled by radar or radio. The third consisted of bombs that could be controlled by the launching plane. 1The historic GAPA (ground to air pilotless aircraft) Boeing project resulted in the first supersonic flight of an American Air Force vehicle on August 6, 1946. Other programs were the Hughes TIAMAT MX-798, the "ROC" and the "Tarzan" . The missile program eventually moved to White Sands, New Mexico, but the missile and bomb program had its beginnings at Wendover Airfield. Wendover was transferred to the Strategic Air Command (SAC) in March 1947 and used by bombardment groups deploying on maneuvers. A typical exercise consisted of thirty planes departing Wendover on a mission of ten hours and returning to Wendover, where they dropped their bombs. Wendover Air Force Base, renamed in 1947, was inactivated on 1 October 1949 and transferred to the Ogden Air Material Area in 1950. The range continued to be utilized for bombing and gunnery practice. Tactical Air Command (TAC) reactivated the base in 1954 and tactical units deployed there for exercises. TAC utilized the base for the next four years and spent several million dollars renovating facilities. Wendover was transferred to Ogden in 1958 and renamed Wendover Air Force Auxiliary Field (AAF). The range was renamed Hill Air Force Range in 1960 and the base was again inactivated in January 1969. In 1955 the Air Force assigned its air-munition functions to Hill AFB, Utah, and construction of an air-munitions and missile test facility (Oasis) was completed in 1964. The mission of the facility was to provide isolated areas for testing air-munitions including missiles, the Minuteman ICBM, "smart bombs," shelf tests of stored munitions, and hazardous material storage. An air-to-ground scorable gunnery range was constructed in 1973 and an Air Combat Maneuvering Instrumentation (ACMI) System was installed in 1985. It is an instrumentation tracking system for training aircrews in simulated weapons engagements by fighter-bombers and is in continuous use. Wendover AAF was declared surplus in 1976 and on 16 June, most of the field, including the water system, was turned over to Wendover, Utah, as a municipal airport. Beginning in 1980 the 4440th Tactical Fighter Training Group (Red Flag), Nellis AFB, Nevada, used the field for exercises, but they were discontinued after 1986. In the late 90's the base ownership was transferred from Wendover, Utah to Tooele County. Control of the range was assumed by Air Force Systems Command (AFSC) on 1 January 1979. 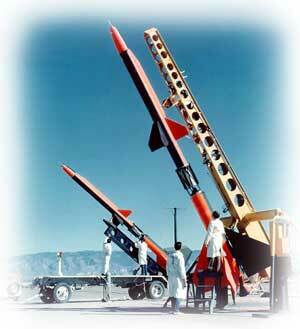 It was renamed the Utah Test and Training Range (UTTR) with management by the 6545th Test Group at Hill AFB. A visual timeline of the events at Wendover Airfield is shown above.